Today I am very excited to be featuring a Q&A with Kathryn Purdie, the author of debut novel Burning Glass. While recovering from donating a kidney to my brother in 2009, I temporarily became extra sensitive to other people’s emotions. It really changed my perception of what empathy is and how painful it can be to truly achieve it. Four years later, my uncle planted the seed in my brain that I should write a book about an empath, and several months later the characters, plot, and setting for BURNING GLASS landed in my mind. What was your favorite part of writing this novel? What was most challenging? My favorite part was constantly being surprised by how impulsive and flawed Sonya is as a character. I love her unpredictability. The most challenging part was fleshing out Valko’s character and pulling him off authentically on the page. His motives are layered and complex, and he’s difficult for Sonya to read as an empath because his reckless and passionate nature is similar to hers and therefore hard to tell apart. The world in Burning Glass is very well developed and unique. What was your strategy while writing? i.e. Are you a pantser or a plotter? I’m a plotter! For BURNING GLASS, I outlined the story two different ways to make sure I hit all the external and internal struggles, and then I wrote a detailed synopsis before drafting. I also gathered up an arsenal of things to keep my enthusiasm high: a Pinterest inspiration board, pictures of actors that remind me of the characters, a research binder, and songs that resonated with the mood of the book (I also wrote a song). From the moment I conceived the story idea, I knew the setting would be a world like Imperial Russia, but I also took liberty to break out of that culture at times. My “Riaznin” has a pantheon of made-up gods and, of course, Auraseers, who are central to the plot. If you could have lunch with a character from Burning Glass, who would it be and why? I would have lunch with my secondary character, Pia. She’s a maid in the palace who likes to sneak Sonya sweets from the kitchens at night. I’d love a bite of her apple sharlotka. 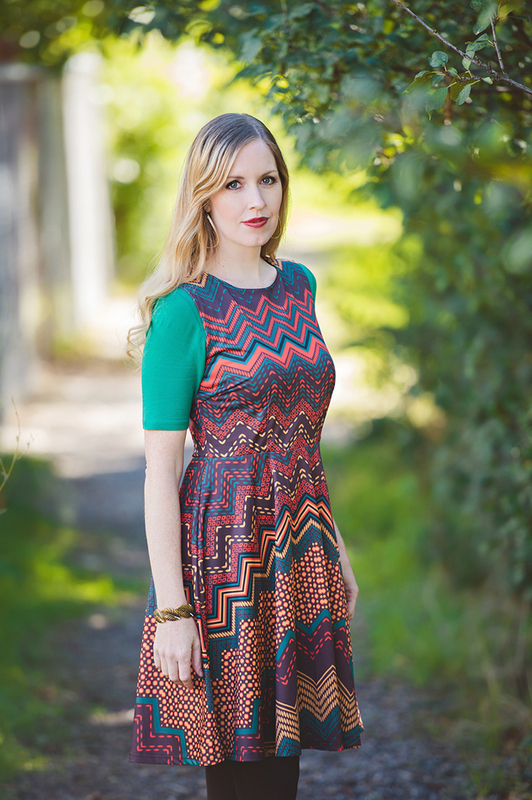 Pia is bright and sunny and brings out the best in people. I’d love to have a good laugh with her. As a debut author, what has surprised you the most about the process of publishing Burning Glass? Is there a moment that stands out to you as most special or enjoyable? I think the most surprising thing is just how quickly it all happened. Not the path to publication and selling a book—that took years of intense work—but what a whirlwind it’s been since BURNING GLASS sold. I dived almost immediately into revisions with my editor and then jumped straight into drafting book two. I still haven’t come up for air! Selling the trilogy felt like a miracle for my family because it enabled us to buy a home after many years of financial struggle. But my favorite part of actually having a book published is hearing from readers who loved it and have taken the time to share with me what they felt, even if it’s just a tweet. It makes all the ups and downs of writing for a living worth it. 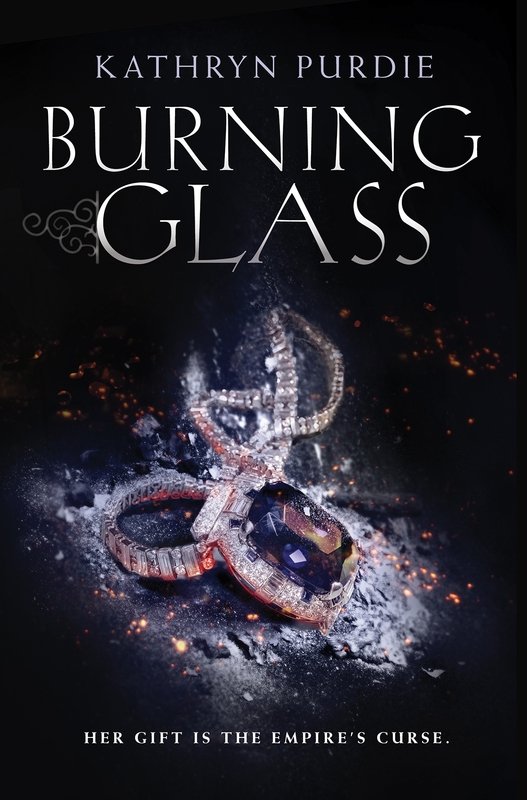 I love the cover of Burning Glass! (Seriously, I want it in my hands now…) Did you have any input on the cover design process? I can’t take any credit for the gorgeous cover, designed by the amazing Amy Ryan at Katherine Tegen Books/HarperCollins. My editor told me they wanted to do something along the lines of RED QUEEN—something with a powerful image—but I had no idea what that would be. When I saw the sapphire necklace in a bed of ashes and embers, I thought it was perfect. The necklace plays a small role in the book, but it’s a significant symbol, as well as the title, BURNING GLASS, which means much more than a necklace. It’s a title you have to think about, and it can have many interpretations. What was your favorite book when you were a young adult? Did that influence your own writing at all? Honestly, reading mythology was my favorite back then…even though that’s not a “favorite book.” As a young adult, I also loved many old and modern classics like THE COUNT OF MONTE CRISTO, A SEPARATE PEACE, and THE CATCHER IN THE RYE—and I still do. I’ve always been drawn to sweeping romantic adventures, poetic tragedies, stark honesty, and/or a world interpreted through magic. All of those things have definitely influenced my writing. BURNING GLASS is the first in a YA fantasy trilogy, so I’m busy with edits for book two at the moment, and then I’ll have to start drafting book three later this year. I have a story idea for another epic fantasy that I’m itching to write, but I’ll have to be patient. Sonya’s journey must be finished first! And just for fun: what books have you read and loved recently that we should be on the lookout for? THE LOVE THAT SPLIT THE WORLD by Emily Henry—very different, beautiful, utterly magical, nostalgic, and so relatable. AN EMBER IN THE ASHES by Sabaa Tahir—an amazingly thought-out world that resonates with ours in horrific ways, and two characters that must navigate that world through paths that sometimes cross and make you breathless. Also, Elias has my heart. Enter below for your chance to win a copy of your own. 10 winners will receive a finished copy of BURNING GLASS, US Only. And check out the rest of the blog tour to learn more about Kathryn Purdie and Burning Glass! Previous ArticleTV Review: Broad City (3x03) "Game Over"